Fresh, zesty, and loaded with crunch… This is The Best Steakhouse Caesar Salad Recipe we’ve ever made! What is it about Caesar Salad that makes even the most veggie-resistant eaters, dive into a bowl of greens? Is it the ample amout of buttery croutons tucked into the salad? Or is it the robust, yet silky, dressing kissing every single piece of lettuce? 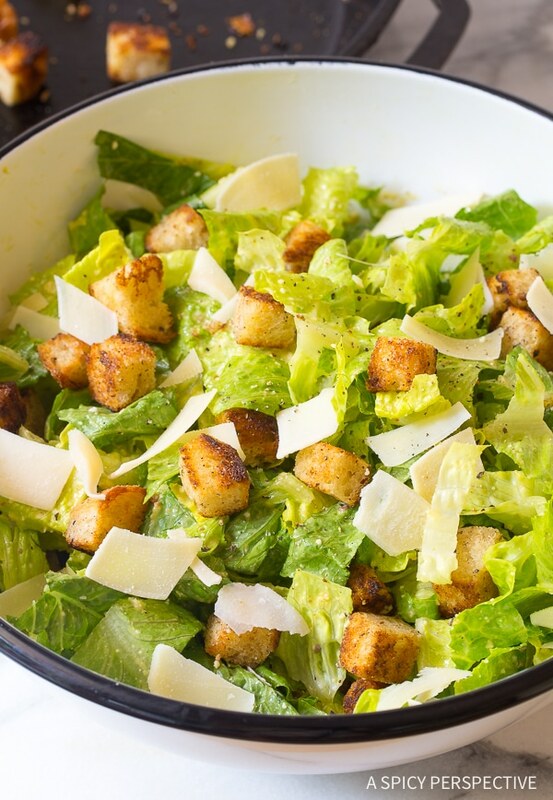 I believe it’s the perfect trifecta of crunchy golden croutons, cool crisp romaine lettuce, pungent parmesan dressing that make Caesar Salad the most popular salad in the nation. I’ve eaten some truly inspiring Caesar Salads over the years. 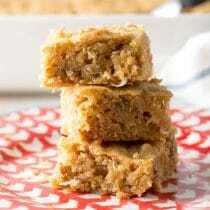 I’ve also eaten quite a few I would consider rather lackluster. 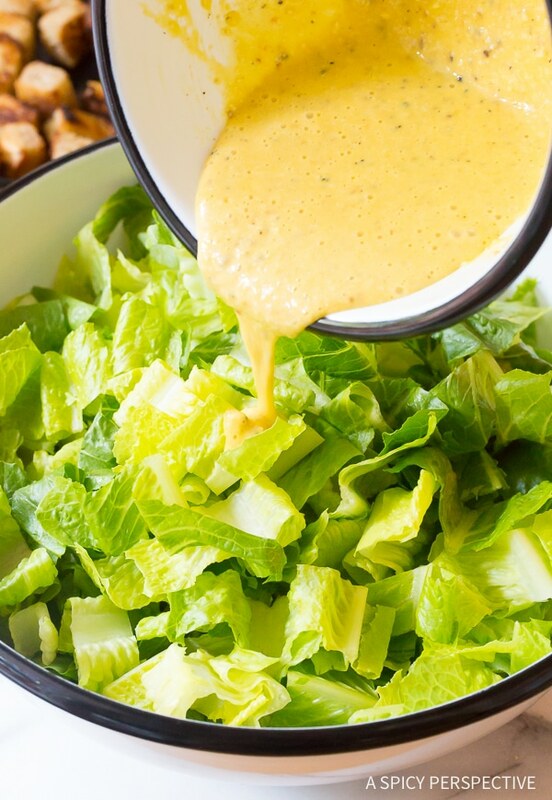 The key to making a truly dazzling Caesar, is to not drown the lettuce in dressing. Second, the dressing and croutons must be made from scratch. That’s not to say I’ve never purchased bottled Caesar dressing and packaged croutons. Of course I have. Yet, in order to make The Best Steakhouse Caesar Salad Recipe you’ve ever eaten, shortcuts are not acceptable. Even so, The Best Steakhouse Caesar Salad Recipe is a quick and easy preparation. With only 10 minutes of chopping and mixing, and a few minutes to toast homemade croutons, you can create the most perfect steakhouse-style caesar salad in the whole wide world. Mince garlic and anchovy fillets together until very fine. Mincing them at the same time helps keep the garlic cloves from sliding around on the cutting board. Wash the eggs before cracking them, then don’t stress. 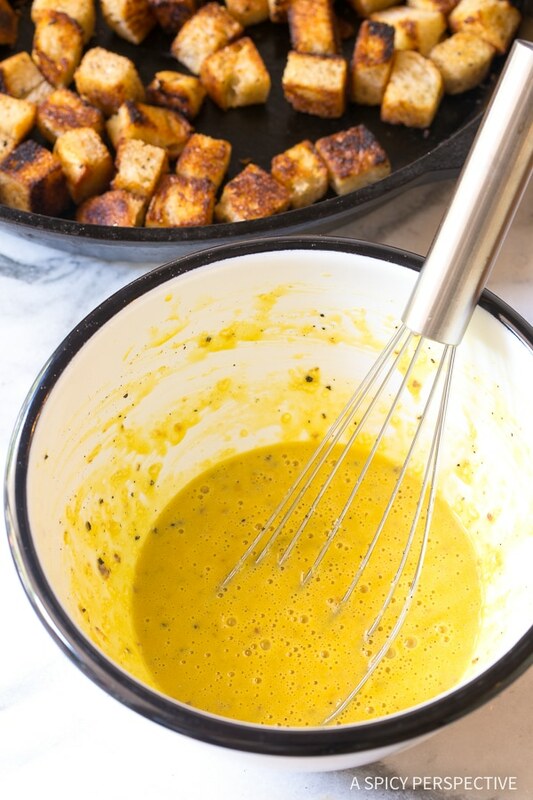 Whisk the dressing vigorously while adding the oils into the mixture ever so slowly. 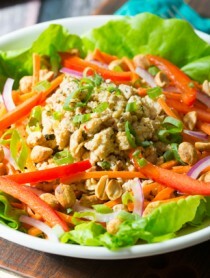 This thickens the dressing and creates a silky texture. Mix in the garlic, anchovies and grated parmesan cheese. Then taste the dressing and season with salt and pepper as needed. 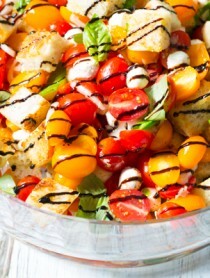 Make your own croutons by cutting a heavy loaf of dense Italian bread into one inch cubes. Melt butter in a large skillet and toast the bread cubes on all sides. Before they are finished, be sure to season the croutons with salt, pepper, and garlic powder. Finally mix the fresh dressing with piles of chopped romaine lettuce. 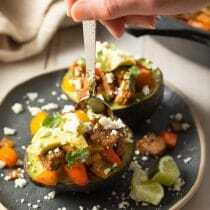 Start with two-thirds of the dressing to make sure you don’t over do it. Then mix in the rest if needed. 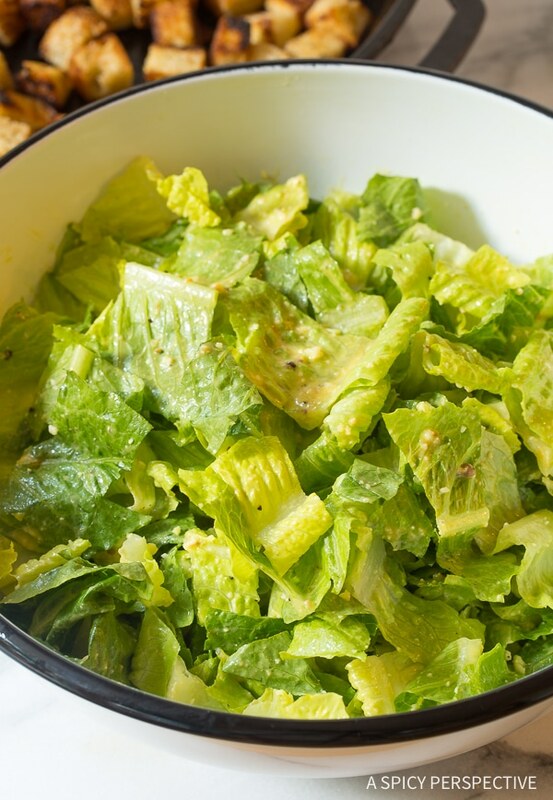 The romaine should be lightly coated in dressing, but not swimming in it. If the salad seems weighted down after you mix in the dressing, you’ve gone too far… The only way the fix it is to add more chopped lettuce. 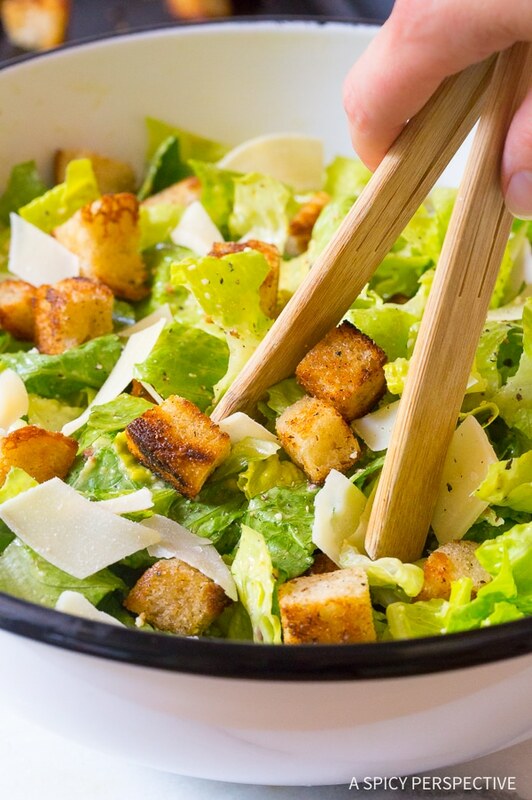 Toss in the croutons, sprinkle with shaved parmesan cheese, and The Best Steakhouse Caesar Salad Recipe is ready to serve. P.S. All the components can be made ahead, but be sure to only mix them when it’s time to eat. 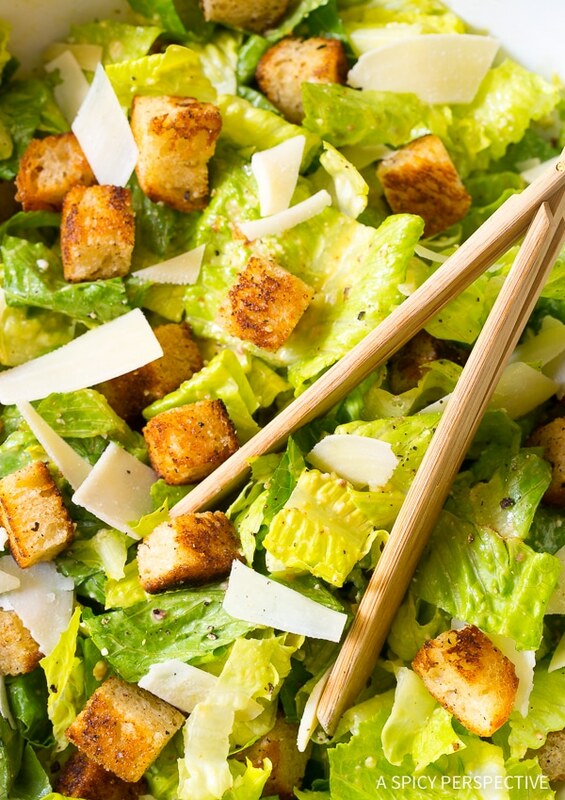 If The Best Steakhouse Caesar Salad Recipe is mixed ahead, you risk serving soggy croutons. The Best Steakhouse Caesar Salad Recipe ever! 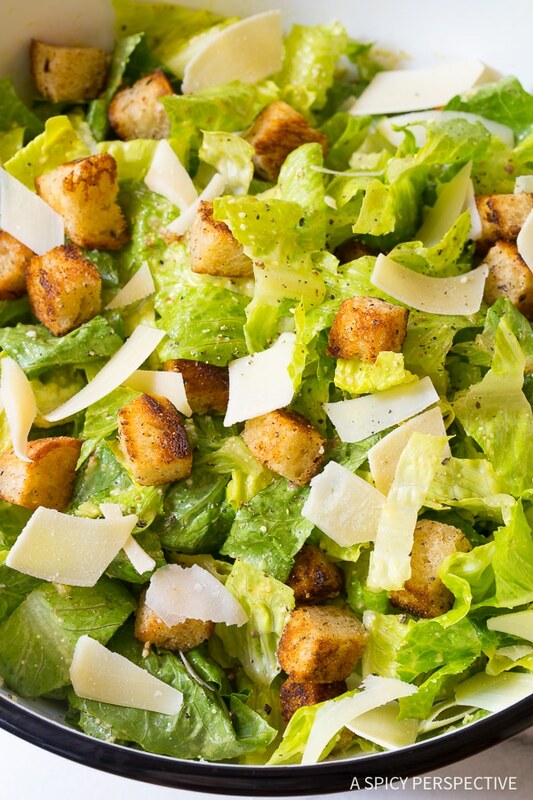 Classic Caesar salad dressing recipe mixed with fresh romaine, Parmesan cheese, and homemade croutons. Set a large skillet over medium heat. Add the butter. Once the butter is melted, add in the bread cubes. Toss well. Toast the bread cubes on all sides, tossing every minute for even browning. After 3 minutes, sprinkle the croutons with garlic powder, 1/2 teaspoon salt, and 1/4 teaspoon cracked black pepper. Continue turning and cooking another 3-4 minutes until golden. Remove from heat and cool. 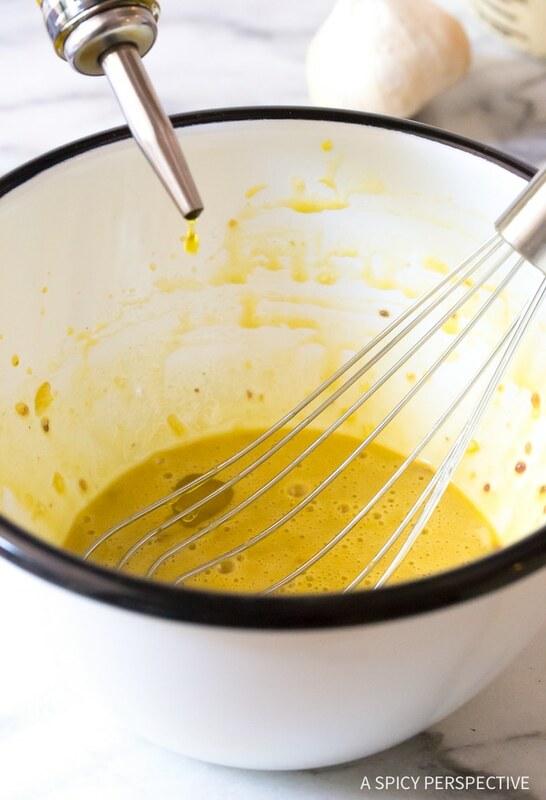 Whisk the egg yolks, Dijon mustard, and 1 1/2 tablespoons lemon juice together in a small bowl. 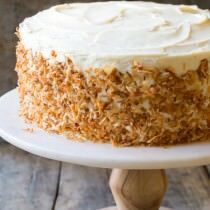 Slowly drizzle in both oils, while whisking the mixture vigorously. 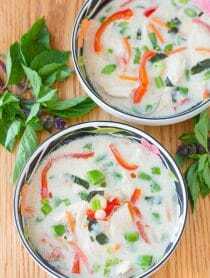 This emulsifies the dressing for a thick silky texture. 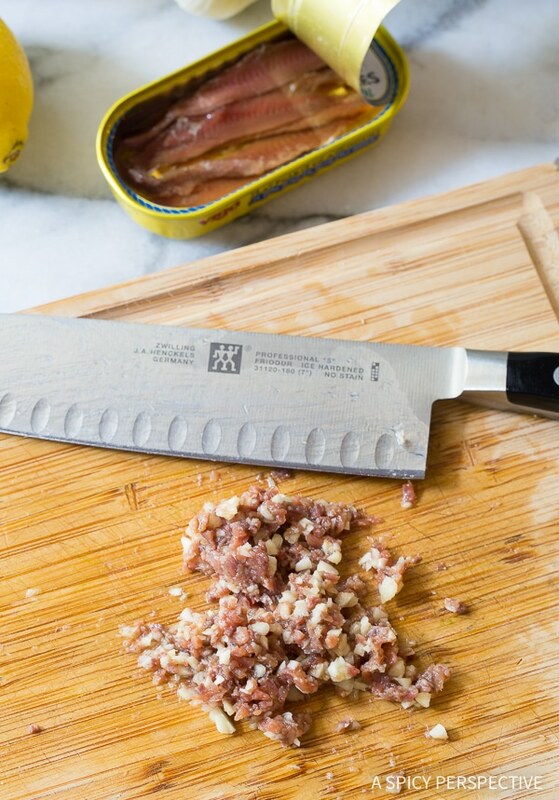 Finely mince the anchovy fillets and garlic together. Whisk the anchovies, garlic, and grated Parmesan cheese into the dressing. 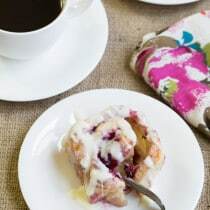 Taste, then whisk in another 1/2 tablespoon lemon juice if desired. Salt and pepper to taste. Chop the lettuce and place it in a large salad bowl. Drizzle two-thirds of the dressing over the lettuce. Toss well to coat. Add more dressing if needed, but do not drench the lettuce. Then toss in the croutons. Garnish with shaved Parmesan cheese if desired. Serve immediately!